Is it really almost Summertime again? It’s such a wonderful time of year for families and we are getting so excited! School is out in less than a week and family trips, late nights and days at the pool will reign supreme. 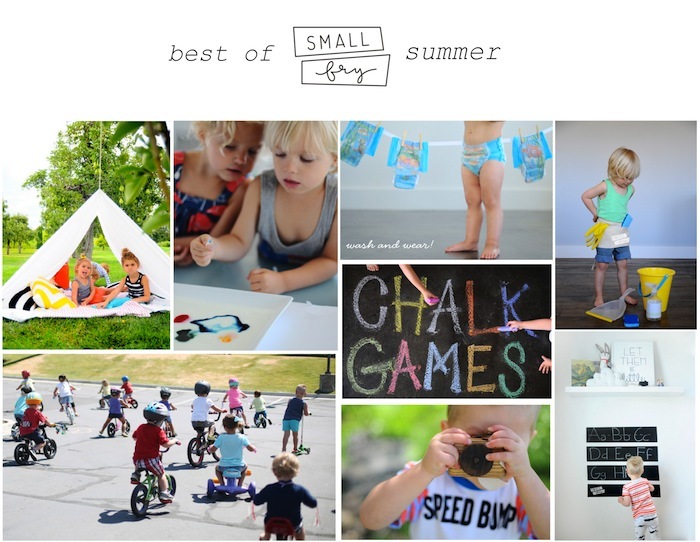 We’ve been brainstorming what we want to bring to Small Fry this Summer and had to take a peek back in the archives for inspiration (and to jog our memory, too!) and here our some of our and your favorite posts for Summertime! This Backyard Tent DIY was the very first post we created for Small Fry, ever! The bright and happy photos instantly take us back to a new and exciting time! And how small do our boys look?! This Firework in milk science project was so much fun to do. It was part of our Summertime School series to keep everyone’s minds learning and everyone should try it at least once! Washing and reusing swim diapers blew a couple of minds. A chores and cleaning printable to help start or keep a routine of responsibilities! Our Road Rally with Freshly Picked was such a hit and the boys are still talking about it. Locals, mark your calendars for July 8th, we’re planning the 2nd Annual Road Rally and it’s gonna be better than ever! Chalk provides hours and hours of entertainment. We showed a few games to use with chalk and there’s about a million more on our Pinterest! Sometimes all it takes is a little hype. Simply saying “We’re going on adventure!” and then letting it all unfold. Kids are magicians and don’t need much, just a little push to get them going! Another post in our Summertime School series, the handwriting wall! Keep those fingers practicing all Summer long! 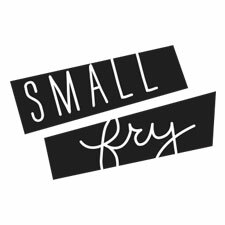 So while we have you, anything you’d like to see Small Fry cover this Summer? Have a great weekend! We heard from so many of your regarding our use of Essential Oils we partnered with the Oil Rn for a free webinar to teach the basics of it all. Join us! We have two – Saturday May 17th, 2014 – SIGN UP HERE – at 2pm EST and then again Monday May 19th at 9:30pm EST – SIGN UP HERE – we’re excited to see you there! We were featured on POPSUGAR Moms with our favorite budget friendly Summer clothing for kids! Check it out here. you do know that you can buy reusable swim diapers, right? they look a lot cuter than disposables and definitely hold up better in the wash over time. My favourite colour is aqua or purple.